I have had a prison ministry for over fifteen years. It is a prison ministry to just one person alone. Just one alone! It started like this. 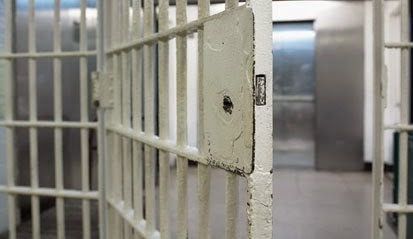 Back in 2002, when I was leading a ministerial network, I heard that two of our members were ministering each week in a maximum security prison in Marion, Ohio, where God was impacting prisoners’ lives. On the inside, the prison was run by the Arian Nation, a white supremacist group. It seems that one weekend the leader of the Arian Nation among the prisoners was bored and decided to attend a weekend conference within the prison…Lo and behold, he heard the gospel and got saved. His second-in-charge, a man by the name of Johnny Harvey, or Irish Johnny as he was known, also became a believer. God began to move amongst the other prisoners. The warden in charge of the maximum security prison at the time was a woman. The story is that when she first arrived, she was wolf whistled by the prisoners as she walked down the main corridor. As a result, she turned to her deputy warden and said, ‘Lock them up!’ So the prisoners were put in their cells for twenty-four hours. This happened one more time with the same result, but never again, as she, in turn, became well liked by the inmates. I only met her once but was told she was a Christian, a Methodist, I think. Anyway, the head of the Arian Nation spoke to the warden about what was happening within the prison. Later, Promise Keepers were permitted to come into the prison for a one-day seminar, at which many prisoners came to know the Lord. So it was that I was invited to go with our two members to the prison in 2002. In the afternoon, we were shown around the prison, watched inmates play basketball, viewed the room where many of them were drawing and painting and so on. I was asked if I would be a guest on a prison video program that was being recorded and shown in this and other prisons in Ohio. It was then that I met Irish Johnny, as he was the man that interviewed me. As I had been involved with the PTL Club and had also been a co-host on the Crossroads television program in the Twin Cities, I had interviewed many people. But now it was the other way round, as I was the one to be interviewed. It lasted over 45 minutes, as Irish Johnny asked me questions about the ministry I had been involved in, including trips overseas. He was especially interested in my involvement with Dr. Cho in Seoul, Korea. In spite of my error in asking these questions, Johnny and I felt bonded together in the Spirit. I felt a kinship with him, a genuine bond of love for him. I only got back to the prison one more time, since I live in another state, but this began a friendship which has continued over these last fifteen years as we have written back and forth. Eventually, Johnny got moved to another prison because he had been baptizing other prisoners, against prison regulations. But I was able to find his new address and continued writing to him. I now have a file that is nearly one inch thick with our correspondence back and forth. After Johnny had been in prison for over twenty years, he applied for parole in 2007. Then again in 2010, 2012, and 2013. Each time, he asked me to write to the parole board on his behalf, which I readily did. The first few times he came up for review, his application was rejected. I understand the family and friends of the man that he had killed spoke against his parole appeal, which in many ways is understandable. Now in 2017, his application came up again to the parole board. I knew that he had the local support of both his family and friends, who would be there for him if he was paroled. So I knew there were people praying for him in Ohio. Here in Minnesota, I shared his story with our church body, Church on the Hill, asking them to pray. We prayed at our weekly prayer meetings, and we had a special time of prayer the Sunday before his hearing with the parole board. We prayed not just for Johnny, but also for the victim’s family that they might be willing to forgive him. And then we waited. Johnny couldn’t call me on the phone, and he couldn’t email me, so I had to wait for a letter. Late one Friday afternoon, as I sorted the mail, it was there – a letter from Johnny. Hurredily I opened the letter and read it. Johnny will not be released until April 2018, as he must successfully complete a number of reentry programs before he is set free. I am hopeful that one day, he will be granted permission to come up to Minnesota. Meanwhile, I will continue to write to him and pray for him. Well, there you are. One person, just one person. One alone. Is it worthwhile? The answer is a resounding yes! Is there someone that God wants you to reach out to help, encourage and minister to? Even if it is just one – One Alone – I encourage you to do it!